Rihanna and Hassan Jameel, rumored to have split in June, were spotted on a vacation in Puerto Vallarta, Mexico. American singer Chris Brown is reportedly upset that his former girlfriend Rihanna and Hassan Jameel have reconciled. Rumors surfaced in June that the Barbadian beauty and the Saudi businessman have parted ways. The two were recently spotted on a vacation in Puerto Vallarta, Mexico. However, the 30-year-old singer looked angry as she repeatedly pointed her finger at Jameel. According to a report in Hollywood Life, the Loyal singer was unhappy that they have patched up. A source told the website: "Chris was crushed when he found out that Rihanna and Hassan are still together. He still loves Rihanna so much and wants her back. He was really hoping she was done with Hassan for good. But then Chris saw the pictures of them on vacation and his mood skyrocketed because it looks like they're arguing." 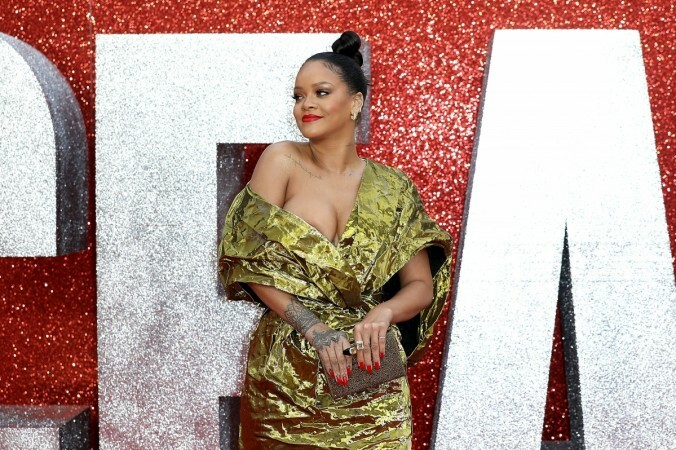 "Chris swears he can tell by the look on Rihanna's face that she's not happy with Hassan [and] he's sure she'll dump the guy soon," the insider added. "It's not that Chris doesn't want Rihanna to be happy. He just wants her to be happy with him because he's still convinced she's the love of his life. Seeing these pictures of Rihanna and Hassan on vacation has been an emotional roller coaster for Chris. It kills him that she's still with Hassan but he's clinging to hope that it won't last much longer," the insider shared. Rihanna and Hassan were first reported to be in a relationship in June 2017. In January this year, the duo made an appearance at a 2018 Grammy after-party. During an interview with Vogue magazine in May, she talked about her dating life and relationships. She told the publication: "I used to feel guilty about taking personal time, but I also think I never met someone who was worth it before."